I’d be the first to say I’m no expert in horology. I wouldn’t be the last, I’m sure, but still, it’s the kind of thing very few people are (or at least should) be comfortable saying. That said, I know more than enough to be able to appreciate what fine watchmaking entails. Some watch lovers are far less informed. Don’t worry, if you’re one of that unfortunate lot I’m not saying it’s a bad thing. However, if you’re a watch like already, knowledge is what will turn you into a watch lover. 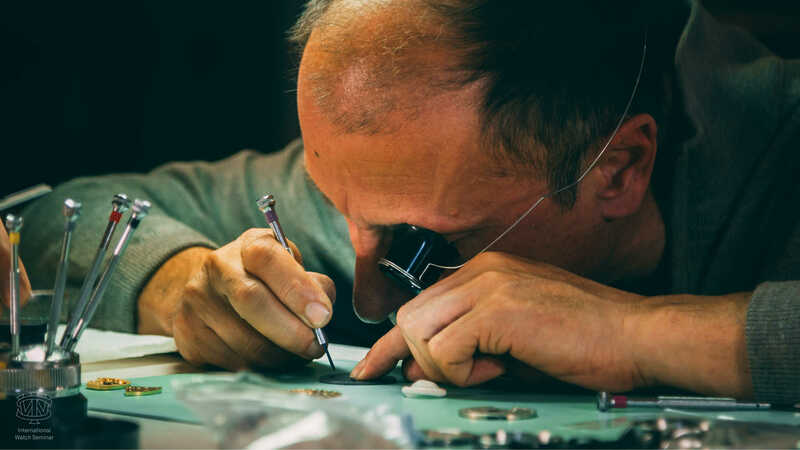 Knowing the intricacies of how a watch works is the surest way to begin appreciating the skill of a fine watchmaker. 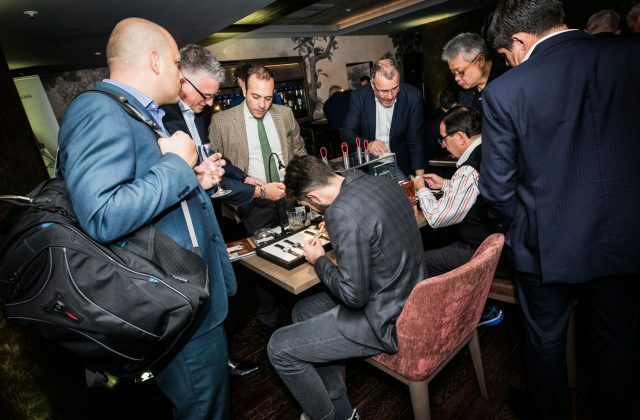 The International Watch Seminar may have an imposing name, but it’s their ongoing goal to bring beginners into the horological fold. They’re not advanced lessons in chronometric precision and craftsmanship; they are Watchmaking for Dummies. What I mean is you can take part without knowing a damn thing about watches. 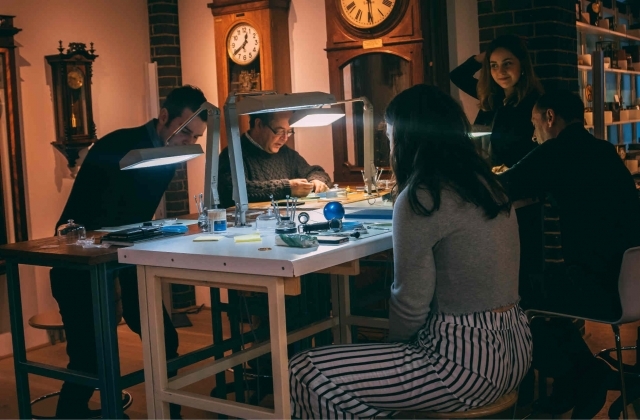 The International Watch Seminar is essentially a two-day program that teaches you the fundamentals of watchmaking. The first day that entails the beating heart of the watch, the movement. As the best way to learn is to do, you are presented with a movement. Nothing too complex, a simple ETA, the rank-and-file of many a watch company. You will then be taught how to disassemble and (hopefully) reassemble it. 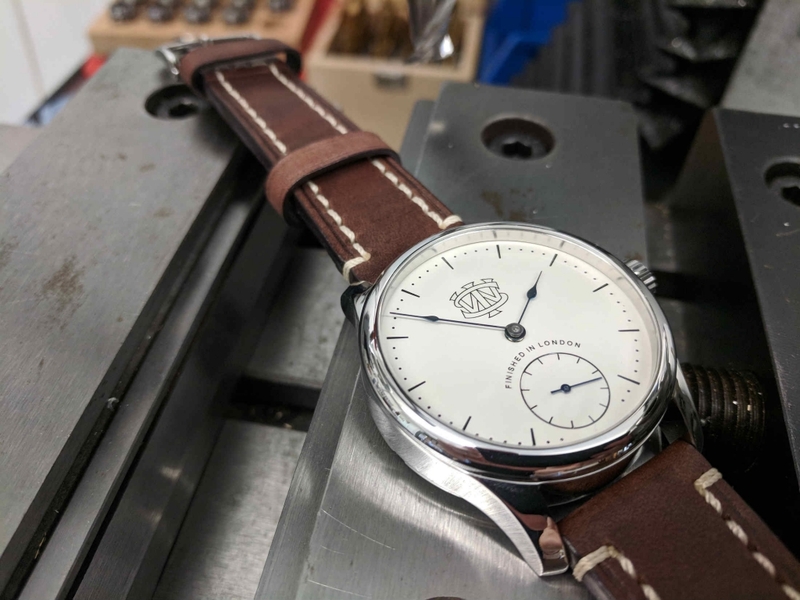 By the end of just day 1, you’ll know precisely how a mechanical watch works. Day 2, on the other hand, is all about finishing. 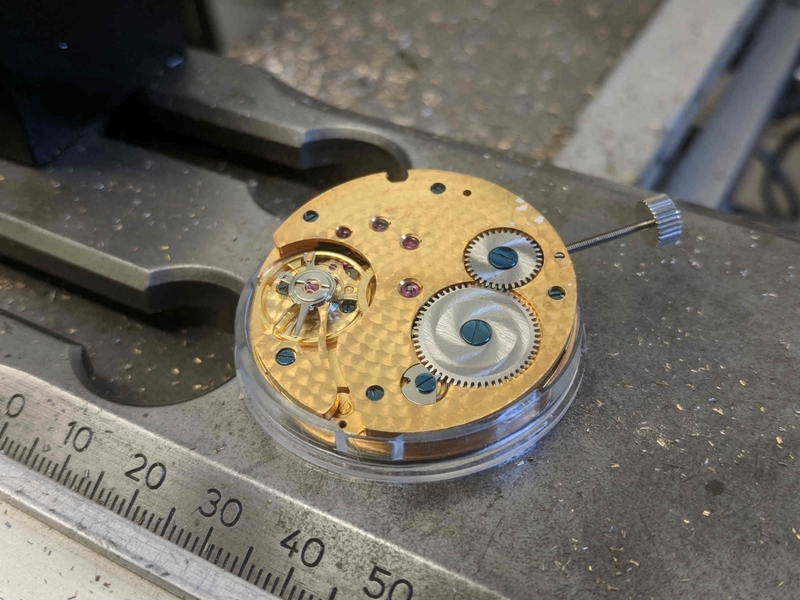 Finishing tends to be what elevates a watch from simple watchmaking to haute horology, the kind of aspects that the grand maisons and epic independents value above all else. You’ll get to try out a few techniques, including Pearlage, a kind of machine finishing that leaves pearl-like circles on the metal. Hopefully, you take to it nicely, because the big test is to use it on your very own watch dial. For better or worse, you then put that dial into your own watch, complete with the ETA movement you assembled previously. 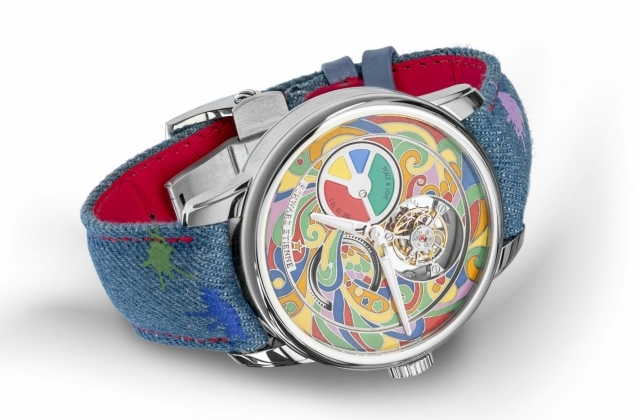 In short, the International Watch Seminar takes just two days to turn you into a watchmaker. Granted you likely won’t be able to repeat it again without guidance but hey, you have your own, self-assembled watch – all for £1,450. For any watch fan, it’s an experience like no other. 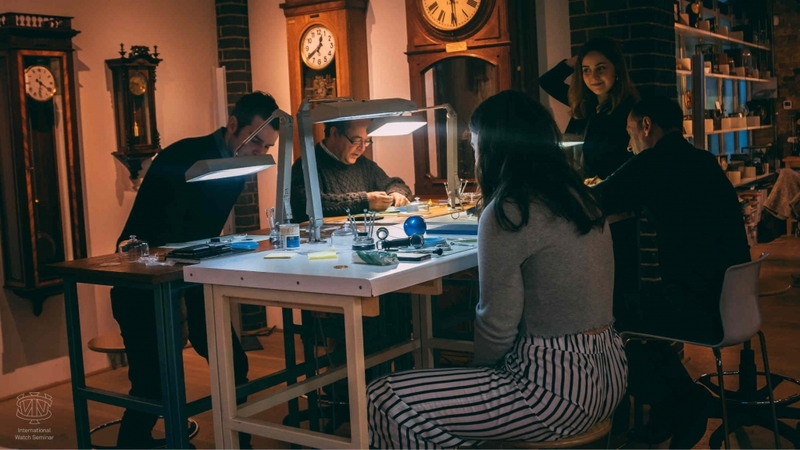 Of course, if you’re not sure whether you want to commit a weekend to watchmaking, make sure to come to our next Watchmaker’s Club Event on the 5th June. The lovely chaps from IWS will be there for the evening introducing our guests to the technique of Pearlage. You won’t get a watch out of it, but you might just come away with a keepsake all the same. Then, if you decide it’s for you (I don’t see why you wouldn’t) you can take part in their next London venture in July.